If you are making a trip to Lancashire this year, you’re most likely keen to find out about the range of Blackpool events in 2019. There is plenty to see and do throughout the entire year in the seaside town to ensure your trip to Blackpool is certainly one to remember. First of all, you simply can’t visit Blackpool without witnessing the incredible Blackpool illuminations. Dating back to the 1800s, the illuminations have become one of Blackpool’s biggest events in the yearly calendar. People travel from all over the country to see the impressive lights show along the seafront. New displays are brought to the show annually which draws faithful visitors back year after year. Check out the illuminations between August-November to witness one of Blackpool’s most popular events in 2019. As part of the illuminations event, the Lightpool Festival is another great occasion for the whole family to enjoy. This 2019 Blackpool event occurs in October half term (25 October). With a whole heap of entertainment on offer, it will make a great day out to keep the kids occupied – and the grown-ups, of course! On the 25 October, an entertainment procession makes its way towards Blackpool Tower. Once you arrive, you’ll witness a spectacular show of lights and sound. With intense drumming, sharp choreography and fun-filled characters – this event is set to impress. On 26 October, a large-scale dance show tells the stories of normal people with an urban soundtrack. Finally, on 27 October, the grand finale finishes off the few days of celebration with an outstanding firework show. If you’re a fan of dance, you certainly won’t want to miss out on the Blackpool Dance Festival. The festival occurs each May at the world-famous Winter Gardens Theatre and is regarded as one of Blackpool’s glitziest occasions. The festival originated in the 1920’s and covers the two dance genres of Ballroom and Latin American. If you wish to spectate or even compete in the competition, take a browse on the website for the details. The Blackpool Grand Theatre is one of Lancashire’s premier entertainment venues. Here, you can enjoy a wide variety of stage shows to suit all interests. 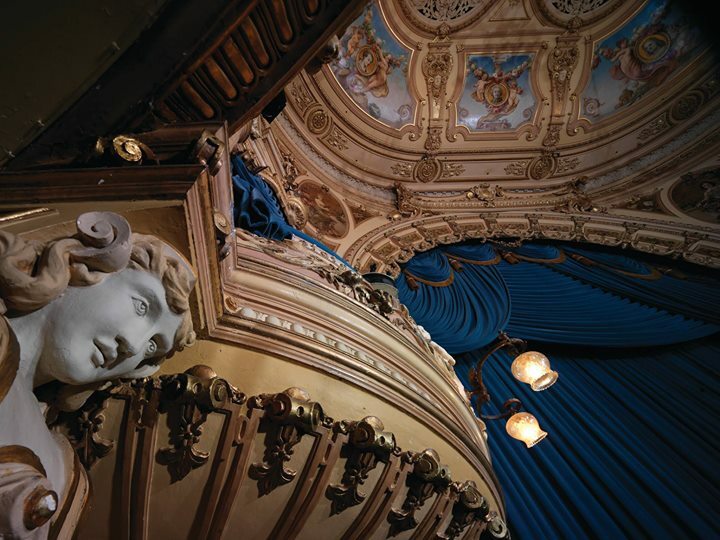 Whether you are a fan of drama, dance, musicals or family-friendly entertainment, the Blackpool Grand Theatre has it all. Browse the selection of shows which are set to visit the Blackpool Grand Theatre via the website. The Blackpool Tower is one of the most notable attractions at the seaside resort. Although many tourists visit the tower to witness the impressive views from the ‘Tower Eye’, the building also holds its very own events which run annually. Noteworthy events include the likes of The Northern Soul Reunion, Salsa in the Blackpool Ballroom, and the School of Dance. Check out the vast selection of Blackpool 2019 events at the Blackpool Tower here.